Minister of Education, Rev. the Hon. Ronald Thwaites, says boys are in need of more positive male role models to help with changing their values and attitudes so they can achieve their full potential. Rev. Thwaites says this intervention is even more critical, given the recent spate of student violence primarily involving boys. "Invariably, what we find is that there is a deep deficit of emotional and psychological stability on the part of those who are responsible and sometimes on the part of the victims too," the Minister said. 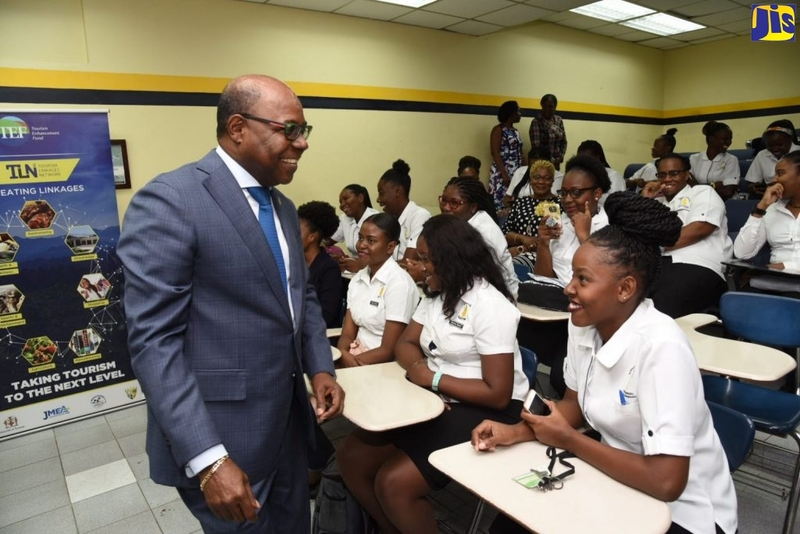 He was speaking at the official launch of the ‘Advancing the Education of Boys' project at the Medallion Hall Hotel in Kingston on Thursday (May 2). Minister Thwaites lamented that many of the perpetrators do not know their fathers, and may have a dysfunctional relationship with their fathers or with the male figure in their lives. "We don't like to talk about this in Jamaica, because we believe…that it speaks too much to the intimacy of personal lives…and yet we fail to recognise the extraordinary social consequences of our personal behaviour… and therefore, there is a strong correlation between personal responsibility and the improvement of the next generation of young persons, particularly the boys," he argued. Chief Executive Officer of the Jamaica Teaching Council (JTC), Dr. Winsome Gordon, agreed that young men do not have adequate male role models, which she said, is one of the factors that has contributed to their underachievement. "We do not have enough men to be models for our children. In our schools, the staff is predominantly female. At home, we have our mothers, and some of us have never seen our fathers… we don't have the role models," she stated. Dr. Gordon said the under-performance of boys has also been linked to learning disabilities, noting that research has shown that boys are more affected by this than girls. She noted, as well, that boys tend to be influenced by the "get rich quick" mentality and believe that "school is not the way to go". Minister Thwaites pointed out that the Government has been working to institute measures to improve the overall output of students, in particular boys, noting that the Ministry has been promoting the development of at least one uniformed group in each school. "We believe that the discipline of order, and of common purpose that these groups bespeak, helps young men…to be focused," he stated. He noted that the Ministry is also seeking to address the "cognitive and social difficulties" students face, pointing to the three new diagnostics centres that are to be available to schools later this year. "This will give us a chance to deal with the (issues) at the earliest stage possible so that the boy child and all children, can have the best chance of progress," he noted. Having recognised the challenges of the underachievement of boys, the Ministry of Education, through the ‘Advancing the Education of Boys' project, is on a path to ensure success for all boys in the education system. Jamaica is one of four Caribbean countries involved in the project, which seeks to develop strategies that will create an enabling educational environment for boys. Thirteen schools from regions one, two and three, have been selected to participate in the initiative, which is expected to last for three years. It is being undertaken by the Ministry, through the JTC, in collaboration with the Commonwealth Secretariat, which is providing funding and technical expertise.